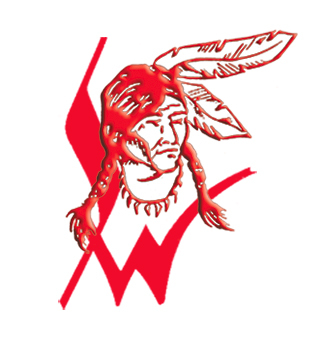 The South Winn wrestling team picked up its first dual wins of the young season in convincing fashion at Maquoketa Valley Tuesday night. The Warriors shut out Jesup, 77-0, and ran over the host team 54-21. Competing against an incomplete Jesup squad, only three South Winn grapplers saw action to earn their points. Phillip French (120 pounds) claimed a 15-0 tech fall in 2:37 over Brady Wilson to start the dual. Fellow freshman Jacob Bohr threw Kris Vandenburg in 4:40 at 160 pounds. In 37 seconds, it was Leonel Varona putting Carter Studebaker on his back for the pin. The 11 other matmen earned forfeits to push South Winn to the 77-0 victory. South Winn saw a lot of action in its second dual of the night versus host Maquoketa Valley, winning 10 matches in the 54-21 dual win. Damon Meyer (195) set the tone for the match as he collected a 6-0 decision win over Evan Elgin. Logan Schnuelle had the Warriors’ only other decision win, 5-1, over Tim Harmon at 160 pounds. Throwing their opponents were Ethan Maldonado (106), French (120), Zach Taylor (170) and Jacob Bohr. Picking up forfeits were Ethan Timp, Toby Conway, Logan Hageman and Lane Quandahl. The Warriors will host their annual invitational with 10 teams set to compete beginning at 10 a.m. Saturday. Next week, South Winn will welcome East Buchanan and Oelwein to Calmar for a double dual with the first match set for 6 p.m.